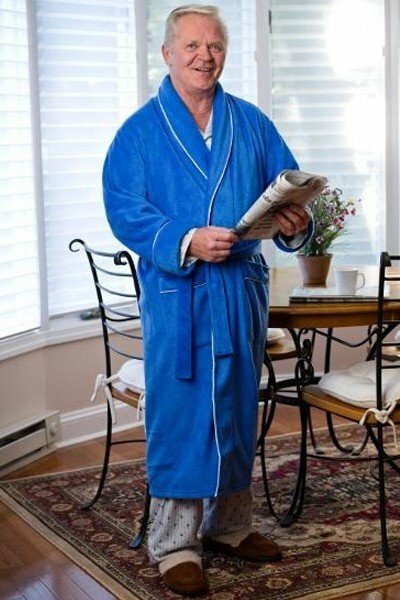 Perfect for bed, bath or lounging, this soft,warm robe has long sleeves, two large pockets, and wrap around belt. Mid calf length. Poly/cotton blend. One size fits most (Small - Xlarge ). Assorted solid colors.